Trying to do dumb things the smart way. President Obama wants to make government “smarter.” Who could disagree with that? After all, it’s unlikely that even the biggest fans of big government believe the way government does what it does is the very best, very smartest way imaginable. Whether you’re an anarchist, a Leninist, or somewhere in between, everyone can agree that Uncle Sam could afford a few more IQ points. Let’s put it another way. If government is going to do X, it should do X the smartest way possible. On that proposition both Occupy Wall Street and the Tea Party agree. Alas, this momentary flash of consensus disappears before our eyes like a shooting star the moment we ask a related but very different question: Is it smart for the government to do X in the first place? For instance: I think it’s a dumb idea to tickle a grizzly-bear cub while it’s napping on its mother’s belly. But if I’m given no choice but to do it, I’ll eagerly inquire about what’s the smartest way to do a very dumb thing. And if I’m told there is no smart way to do such a dumb thing (which I assume is true), I’ll at least ask for tips on the least dumb way to do it. In announcing his effort to make government smarter — an idea with a very old pedigree — Obama invoked two organizations he’d like government to emulate. The first was Google. We’ll return to that in a moment. For years, many of the president’s critics, including yours truly, have complained that he’s always in campaign mode. Obama is more comfortable whipping up enthusiasm among his fans on college campuses than he is working with his own cabinet — never mind members of Congress — to actually get things done. So it was not without irony that the second exemplar Obama offered for the sorts of best practices the government should adopt was his own presidential campaign. It was “one of the most inclusive and most successful campaigns in American history,” he assured an audience largely composed of his own White House staff. This is among the president’s favorite formulations, and it gets to the heart of the problem. The government is not “us.” The government is — or is supposed to be — a collection of agencies that do things taxpayers and voters want done. In short, it is a tool. Sometimes the smartest way to use a tool is not to use it at all. A garden rake is a useful tool. But it’s not useful for every task. No matter how smart the surgeon, there’s no smart way for him to use a rake to remove a kidney. Google is a wonderful company, but Google is as relevant to the tasks of government as a garden rake is to the tasks of a surgeon. Similarly, a presidential campaign is a vital tool for electing a president. It is utterly useless for enforcing contracts or repelling foreign invaders. One of the advantages both a presidential campaign and a company like Google have is that they can fire incompetent employees quite easily. The federal government has no such luxury. According to a study by USA Today, death is the greatest threat to job security at the EPA, HUD, and dozens of other agencies. In 2012, 0.4 percent of civilian employees were fired. Similarly, whether a campaign succeeds or fails, it goes out of business the day after the election (at least that was the case until Obama created Organizing for America). When a business fails, it doesn’t necessarily go out of business, but it does stop selling its failed products; Coca-Cola stopped selling New Coke when no one wanted to buy it. The day before the president announced his new initiative, the Washington Post profiled Marvin Horne, a farmer who owes the federal government $650,000 in fines. Why? He failed to comply with the Department of Agriculture’s national raisin-reserve program, created by the Truman administration, which even liberal Supreme Court justice Elena Kagan dubbed “just the world’s most outdated law.” The program stockpiles raisins in case of an emergency. Such emergencies — if they ever existed — ceased being a problem after World War II. It’s no surprise, alas, that government programs are as hard to fire as the employees working for them. Which raises yet another irony. The only people in the world who don’t want the government to get much smarter are the ones working for it. 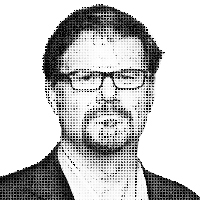 — Jonah Goldberg is the author of the The Tyranny of Clichés, now on sale in paperback. You can write to him at goldbergcolumn@gmail.com, or via Twitter @JonahNRO. © 2013 Tribune Media Services, Inc.